There’s nothing like a walk on the seafront with your pet. 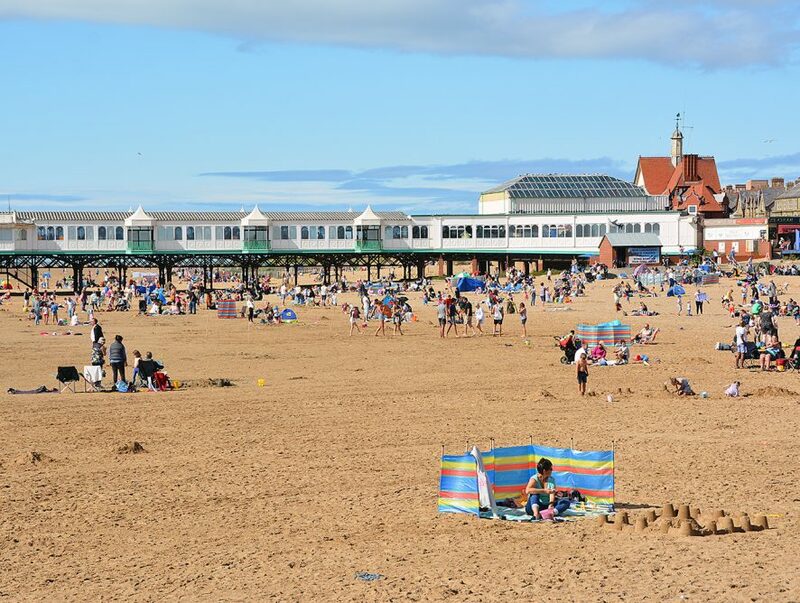 Don’t forget that there’s a ban on dogs on St Annes beach from 1 May to 30 September each year. 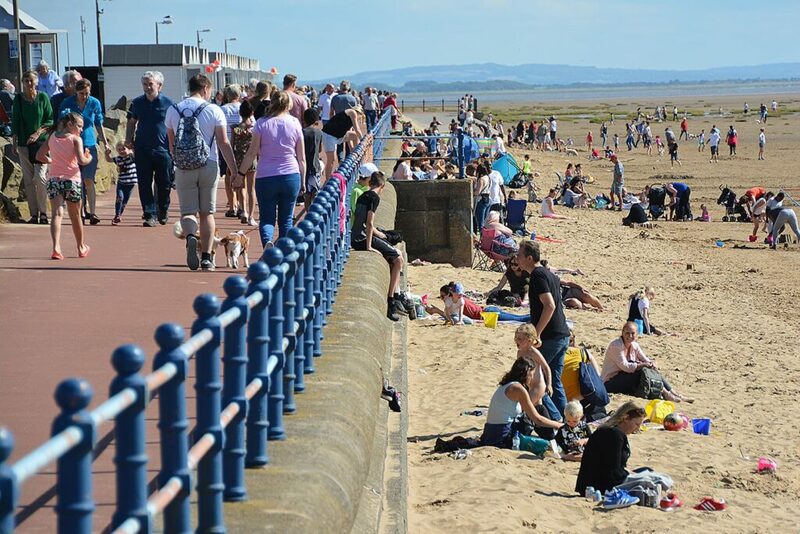 In common with most UK amenity beaches, dogs are not allowed on the main bathing beach at St Annes during the summer season each year. 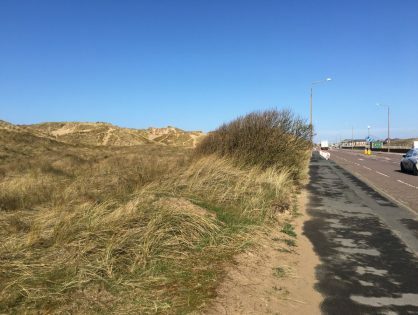 The dog exclusion zone on the amenity beach at St Annes starts on 1 May until 30 September each year. to the slipway for St Annes Lifeboat Station opposite Eastbank Road. 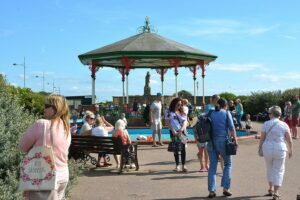 Dogs should be kept on a lead on the promenade. Click on this map to open a bigger version. Legislation is in place across the whole of Fylde Borough for the removal and disposal of dog fouling. The person in charge of a dog is required to pick up and dispose of dog fouling in a bin marked suitable for dog waste. All litter bins in Fylde are multi-purpose and can be used to dispose of both litter and dog fouling.  Offenders can get a fixed penalty notice of £100. You can take your dog off its lead on the beach outside this relatively small area. Dog walkers can still enjoy a vast amount of beach stretching towards Squires Gate one way and Lytham Quays in the other direction. Dogs can be freely exercised there without any restrictions. It’s increasingly common at seaside resorts all over the UK that dogs aren’t allowed on beaches during the summer season. Rules do vary from place to place and it’s usually to do with whether the area is classed as a bathing beach or not. If you are in any doubt please check first. Sea water at a bathing beach is tested throughout the season. The results of which are used towards the quality rating of the beach. 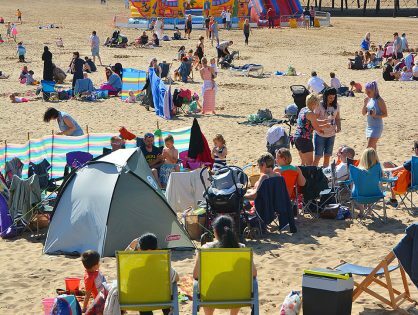 Keep Britain Tidy rate facilities and the overall environment at beaches around the UK for their Seaside Award, which identifies beaches that are clean, safe, attractive and well managed. Both awards help you to know whether facilities are good and the environment is clean and safe. A bathing beach is usually the main one that’s in a popular area and well used. There are of course many other miles of beaches which aren’t classified within this system where you might enjoy walking, sports or other beach activities. Dog fouling is a problem – full stop. It’s a problem on bathing beaches not only because it’s revolting but because it pollutes the sea water. 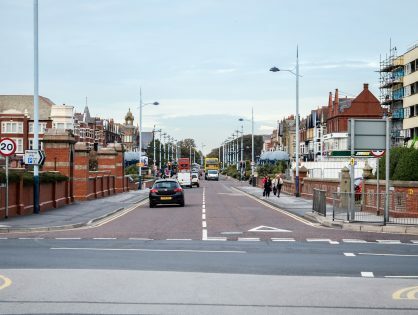 All around the UK work is carried out at great effort and expense to clean up our shores and prevent sewage and other types of contamination (for example run-off from farmland etc) from entering the sea water. If you have a dog exclusion policy on the beach for this time of year, why is it not being enforced? Bank holiday Monday 28th May and there’s at least 5 dogs on here. 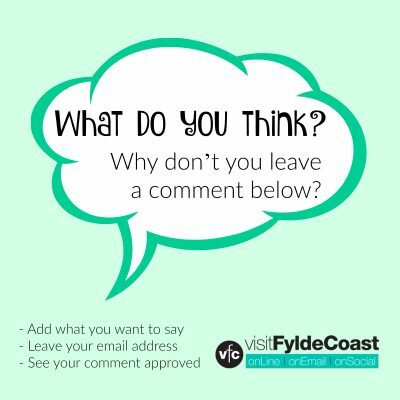 Hi Chris, you’ll need to contact Fylde Council with that question. Absolutely loads of dog’s on the beach in front of the Beach hut’s 17th June infact it looked like a doggy daycare. 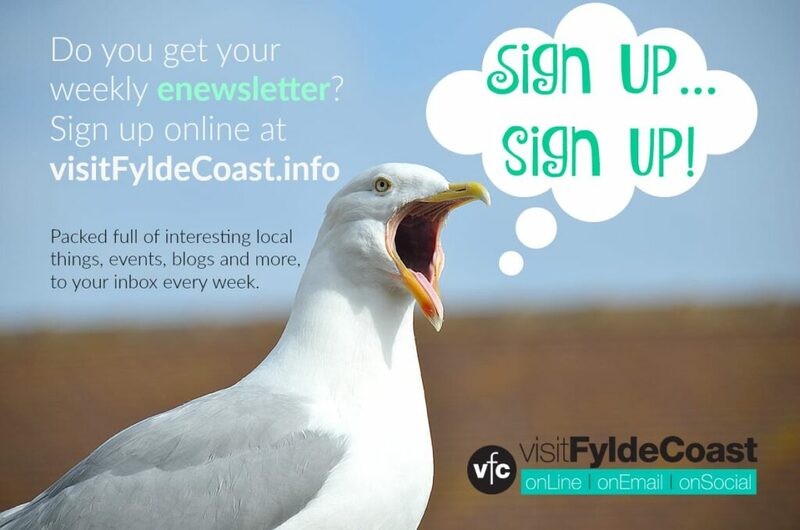 Enforcing the rule is the task of Fylde Council. I’m sure they do carry out patrols and those who use the beach with dogs run the risk of an on-the-spot fine. 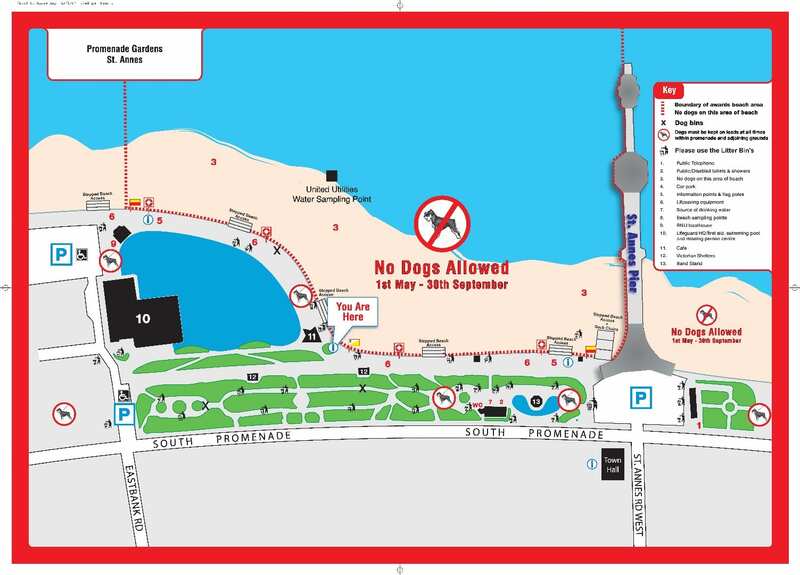 According to the map on this site dogs are allowed on the beach in front of the beach huts at all times. 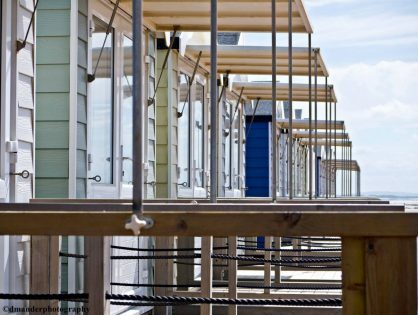 The beach huts are south east, (or left on the map) of the RNLI boathouse.